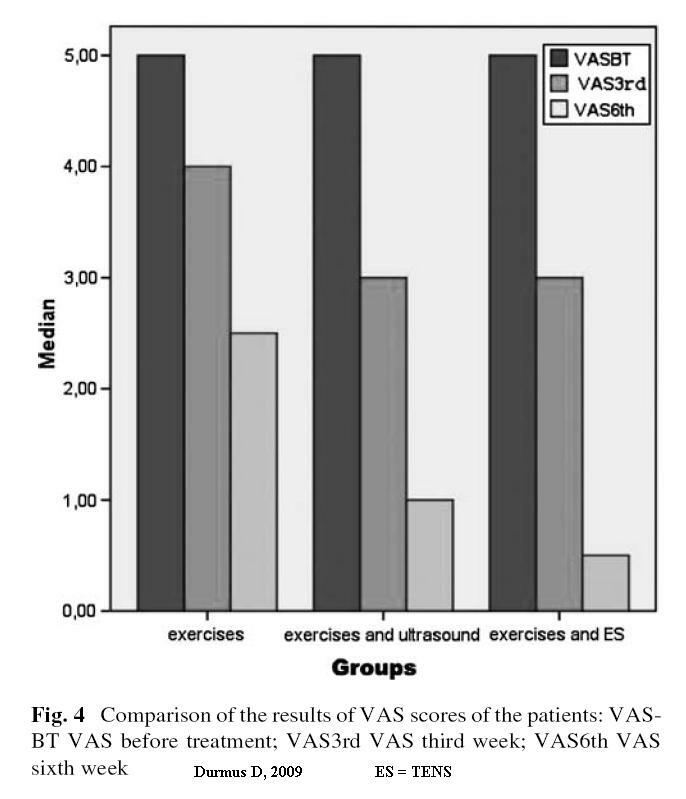 I have found home ultrasound helpful in chronic back pain but there has been little research in its effectivenesss. Now there is a study in low back pain combining it with exercise that found it useful. TENS worked well to but I find if there is any instability, TENS might aggravate the problem so ultrasound is safer. Rheumatol Int. 2009 Jul 31. [Epub ahead of print] Effects of therapeutic ultrasound and electrical stimulation program on pain, trunk muscle strength, disability, walking performance, quality of life, and depression in patients with low back pain: a randomized-controlled trial. 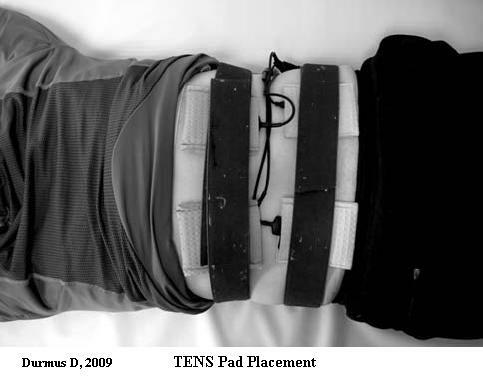 Durmus D, Durmaz Y, Canturk F.
intensity of the current was arranged separately one by one for each patient until apparent muscle contraction was established (60–130 mA). Special exercises to correct mobility of the spine andhip joints, activate the stabilizing muscles of the spine,and increase flexibility of the lower limb muscles. Functional exercises to improve postural control,dynamic body balance, and coordination. Progressive relaxation exercises to normalize muscle tension. Comment – I find ultrasound to be helpful in chronic back pain – even for the more upper back pains – but may have a short lived effect so best given at home by a partner. Cost outlay is an issue though.